Let me introduce you to our beautiful little Sarah. 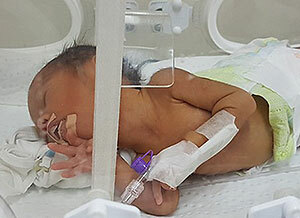 She was born 10 weeks premature and weighing only 1.2KG (2.6lb). Her mum is 22 years old, and this is baby number 6.